I’m in Christmassy mood now! Woo hoo, gone are the days of bad novelty Christmas jumpers, every girl deserves some gorgeous knitwear to wear on the big day! You want to be stylish yet comfortable- remember you are going to be eating a big meal so go for a flattering cut! For those who want to feel whimsical this Christmas and are inspired by the berry shade of mulled wine this sweater by Erdem is perfect. 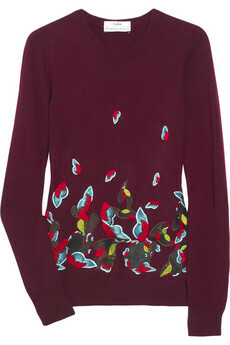 The butterfly graphic adds interest to what is otherwise a very simple jumper in a classic style. 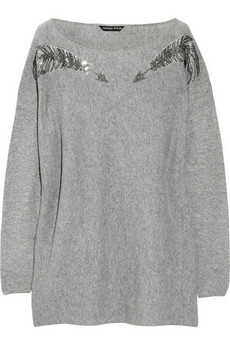 Wear this with a pair of black jeans and some cosy slippers! Butterfly graphic, what a classic style! 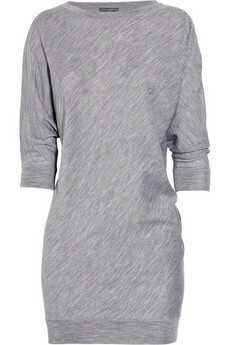 If you like to keep things plain and this Alexander McQueen jumper dress is just what you need. The flattering silhouette created by the loose shape and casual style means there will definitely be room for seconds! Wear with a pair of black leggings and some brightly coloured nail polish- fingers and toes! Just a little eye-catching pink coffee cup cosy. You want? 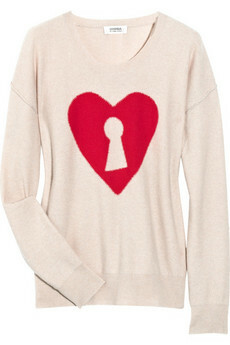 Sonia Rykiel’s cashmere knit jumper in pale pink is perfect for girls who like to wear their hearts on their sleeves at Christmas. The kitsch heart is an update on the novelty designs of the past. Wear with your best denim jeans and lots of Christmas cheer. If it’s luxury you crave on Christmas morning this cashmere sweater by Thomas Wylde is just what you need. The feathered arrow design adds just enough sparkle to the festivities and you’ll be really smug all day because, well, it’s cashmere. Wear it with a pair of jeans for day and a pair of Gucci leather trousers for night. Have a nice week folks, stay tune and catch us with new collection & stories!